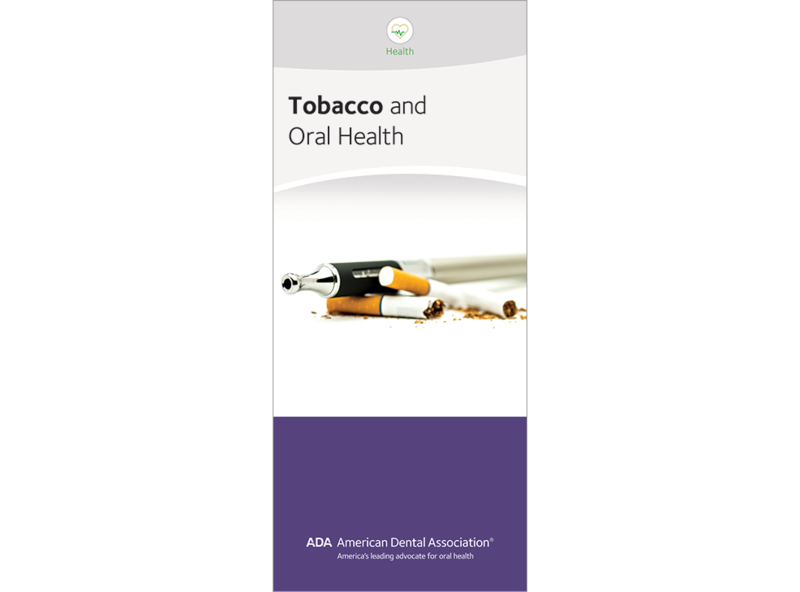 Effects of tobacco and tobacco-related products on oral and overall health are brought to light in this frank brochure. It also discusses the benefits of quitting, tips to quit, and phone and online resources for support. Includes a photo of perio disease as well as one of chew-related staining and recession. Expanded content that now addresses fad alternatives to cigarettes like e-cigarettes and hookahs, reinforcing the idea that quitting should be universal. Pack of 50, 8 panels.